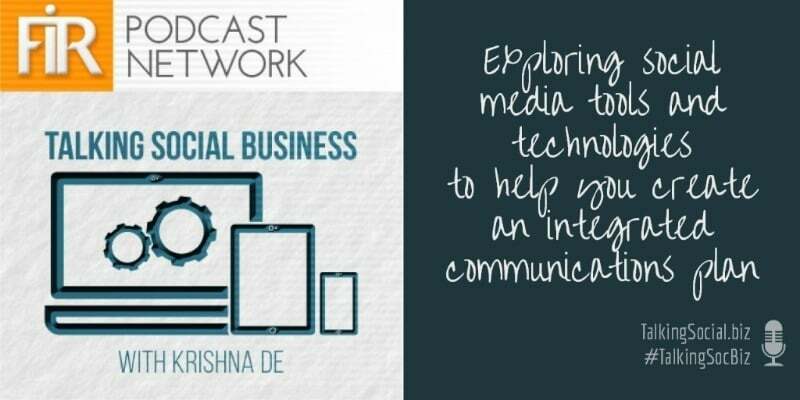 The ‘Talking Social Business Podcast’ is hosted by digital communications veteran, Krishna De. The show launched in February 2016 and is part of the For Immediate Release Podcast Network. Each episode feature interviews with industry experts and practical advice on how to use social media and visual marketing tools to help you improve the effectiveness of your online PR and digital communications. There will also be an episode each month exploring legal aspects that you need to be aware of in the world of technology and social media. If staying on top of the technical and legal aspects of social and digital media is important to your work, subscribe to the ‘Talking Social Business’ podcast. If you have suggestions for the show you can contact me here. Find each episode and a link to the show notes for resources in the links below. Episode 001 – How to use the new app Adobe Post to create engaging images for your digital and social media communications.